Happy Saturday, all! How has your Saturday been? I feel like mine has been BUSY! I got up and went to Oula this morning....which is a GOOD thing. That horrible cold I got kept me out of the gym for a WEEK...I hate that. I love my Oula time each week. Then I came home and got some stuff done for Glitz, then had a senior shoot starting at 2pm. The shoot went really well, and the girl was super cute! We got some really great shots inside of the library, and then some in the newly fallen snow! I can't wait to start editing them tomorrow! Now we are watching football, and I am finally getting a moment to post on my blog. 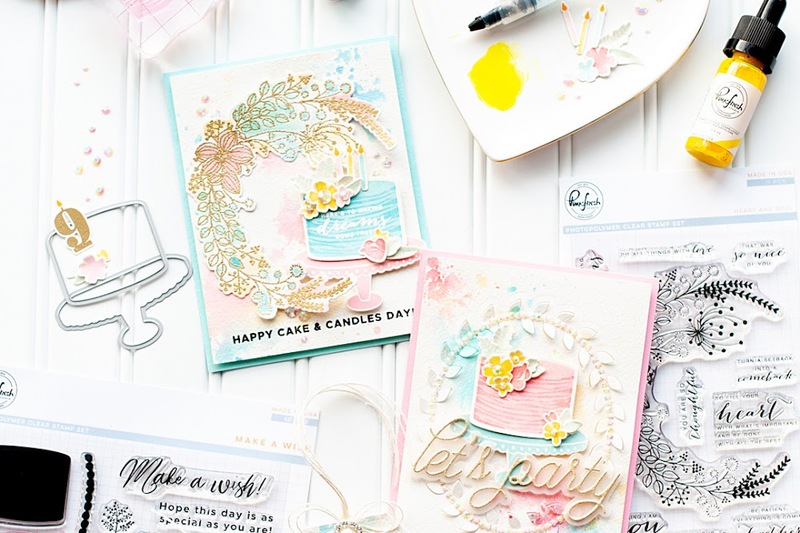 Speaking of Glitz Design....I have a card to share with you today using one of the brand new collections that is being shown/released at CHA as we speak! 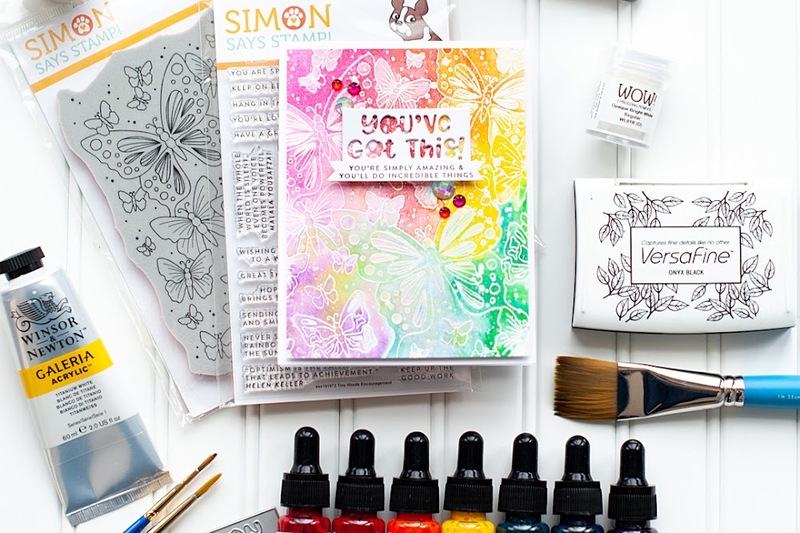 For this card I am using the Color Me Happy collection, which is the epitome of the rainbow in a scrapbooking collection. This new collection just makes me a bit giddy.... Here is what I created! Sigh- I love the woodgrain. I love the washi tape. I love the amazing sentiments in the cardstock stickers, and then being able to use the cute teeny alphas to add to said sentiment.....I think I am in love. Ha! Well, I better get going for now. But just in case you haven't been to the Glitz blog recently, there is also still time to comment to win the new collections! Here are the links! The Glitz designers have been creating some new projects with the new collections as well....so poke around the blog a bit. I think you will love what you see! Have a great rest of your Saturday! What a bright, fun and cheerful card, Lea. I'm SO happy to have you join us again, and I always just SO enjoy seeing yiour beautiful art. Thanks for stopping by, and have a blessed week! Just looking at this card absolutely makes me want to buy this new collection! I love the bright colors!!! What an absolutely fun card! I love all the bright colors against the woodgrain. Wonderful!! Thanks for joining us at Tuesday Morning Sketches. Awesome card!! I love the fun papers and embellies!! Thanks for joining us at Tuesday Morning Sketches this week!! Oh how colorful and cheerful!! Very fun and festive!! Thanks for joining the ODBD Shining the Light challenge this week!! Niec job combining patterns on your bright and fun card. I am in love with this! 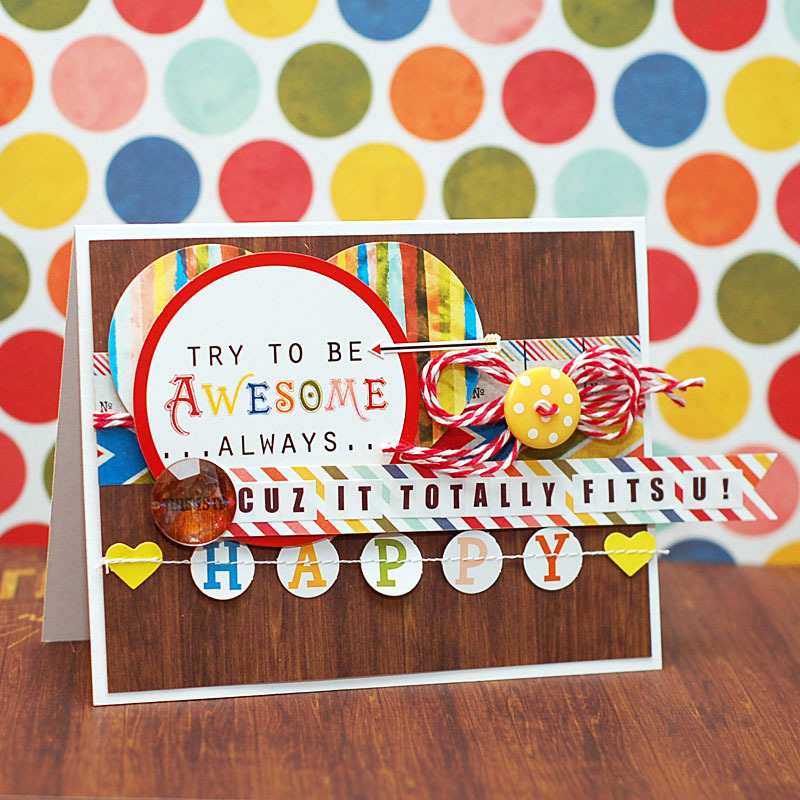 I love the sentiment most of all :) Super fun, bright, trendy, and cheerful...oh, and don't forget AWESOME! Thanks so much for playing with us at Tuesday Morning Sketches this week! Such a bright happy card, anyone would feel cheery just receiveing it.The colors are so vibrant. What cute elements and beautiful, bright colors! Thanks for joining the Friday Mashup this week. Wow! This is totally awesome!! 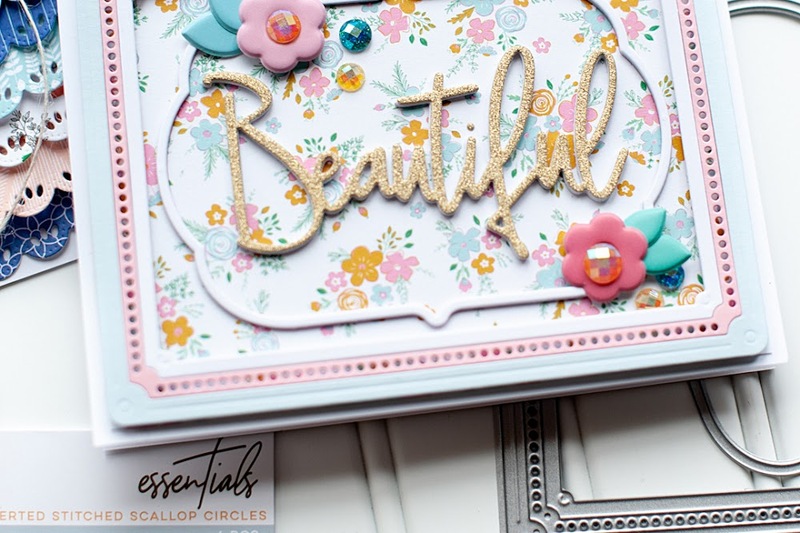 Love how you've combined all these fresh and fun elements on your card! Thanks for playing along with the Friday Mashup this week! What an awesome card! I love the stitched on letters and that beautiful twine bow with the polka dot button! This is just so wonderful! Thanks for playing along with us at the Friday Mashup!